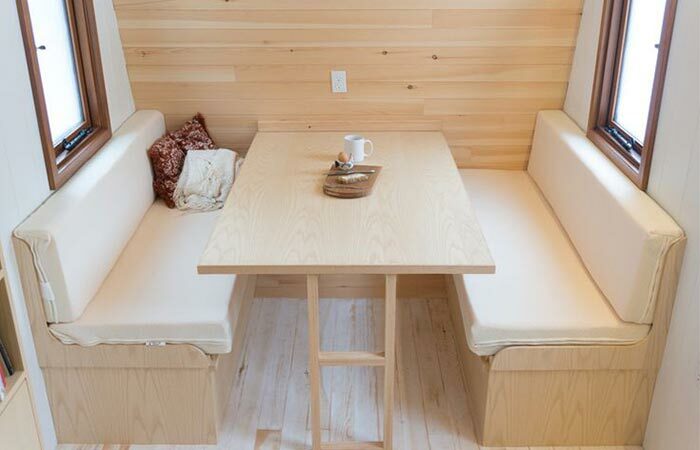 The market of tiny mobile homes has been very popular lately both due to small costs and their exceptional appearance. 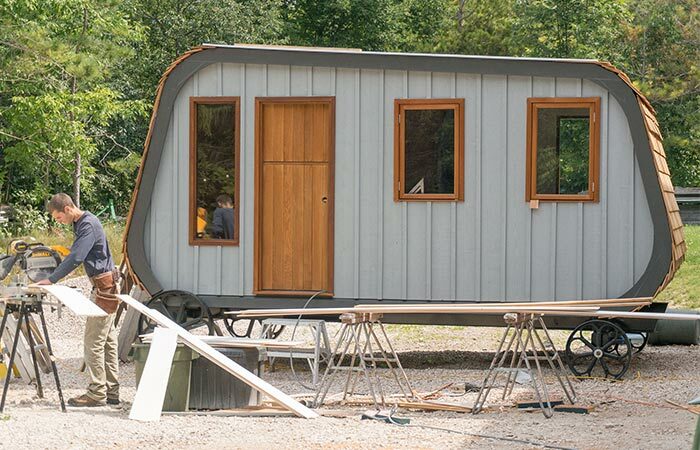 One such awe inspiring tiny home is the Collingwood Shepherd Hut by Gute, which will amaze everybody with the combination of different styles used in the making of this tiny home. Although mobility isn’t its strong suite, this is still a mobile home. 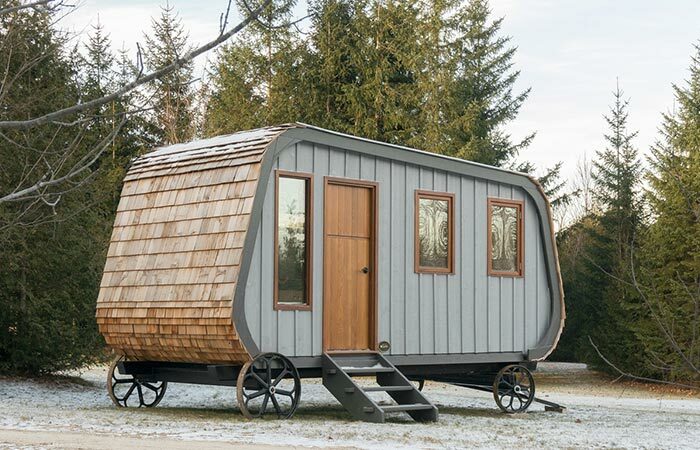 You might not be able to move it around with your car like you would a regular camper, but the wagon wheels added to this home do allow you to relocate it. The combination of modern and rustic design works quite well in this case, as the Collingwood has a certain peculiar appeal to it. One of the best things about it is the level of customization the fellas at Gute allow when you purchase one. 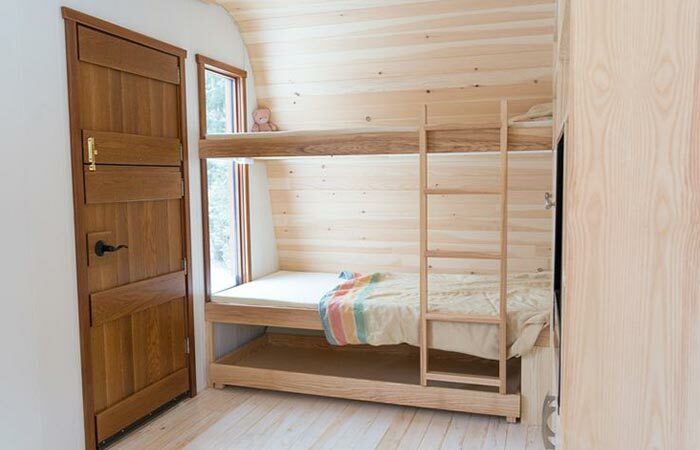 The Collingwood Shepherd Hut is only 7.5′ wide and 15′ 6″ long but this doesn’t stop you from equipping it with everything you want, and what you want is most important in this case because every single part of this tiny home is suited to your taste and specifications. From top to bottom, you get to choose the color and style used in the making of your personalized hut. From floor panels, door and window frame, the ceiling and even the exterior, everything will be done in the way you want. We wish we could tell you about the layout of the furniture this home has, but these specs are, once again, entirely up to you. However, we can tell you more about the craftsmanship and materials used. Every single piece of furniture you decide to put in will be built from scratch and that will be done by hand. Gute uses many types of wood in their work, such as: oak, ash, maple, walnut, cherry, and exotic woods like African mahogany, and teak. If you aren’t a carpenter yourself, but always wanted a fully custom made hut for vacations, then this is your chance to have one as the Collingwood Shepherd Hut provides you exactly with that. Unfortunately, we can’t disclose any info about price of this amazing hut, because it depends on the amount of customization put into the making of the furniture and its layout.